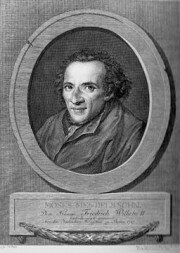 Moses Mendelssohn, Germany 18th c.
What is Modern Jewish History? When Does the Modern Period of Jewish History Begin? Article by Michael Meyer, Professor at Hebrew Union College-Jewish Institute of Religion. Originally published inJudaism, 1975. Center for Jewish History Digital Collection – The CJH represents five organizations: the American Jewish Historical Society; the American Sephardi Foundation; the Leo Baeck Institute; Yeshiva University Museum; and, YIVO Institute for Jewish Research. Many of these organizations have digitized their collections of documents and photographs, which can be accessed through this portal. Heritage: Civilization and the Jews – Companion website to the rebroadcast of the 1984 landmark series. The website offers video clips, lesson plans, and other resources for teachers. Historical Jewish Press — This site is a collaboration by the National Library of Israel and Tel Aviv University. The site contains 46 titles covering the years 1843 to 1987, languages that include: Hebrew; Judeo-Arabic; Yiddish; English; French; Hungarian; and Russian. Internet Modern History Sourcebook – A rich collection of primary sources from the period of the Reformation through modern times. Jewish Heritage Europe — This comprehensive site offers country by country resources, up to date news and events, and a thorough list of links. Jewish Photo Library — Features more than 70,000 photographs of synagogues, cemeteries, memorials, and Jewish museums. Judaica Europeana — This amazing site aggregates digital collections from European museums, libraries and archives about the history of Jews in Europe. See especially its page of Virtual Exhibitions. The Life of the Synagogue — From the William A. Rosenthall Judaica Collection, this digital exhibition draws from thousands of prints and postcards to explore the role of the synagogue from the 16th c. on. Modern European Jewish History Educational Resource Guides (The Center for Online Jewish History) – Includes: The Napoleonic Sanhedrin, Evolving Jewish Identities, German-Jewish Identity and others. These teaching guides develop around primary sources, many with online links. Synagogue Postcards-William A. Rosenthall Judaica Collection (College of Charleston Libraries) — More than two thousand postcards from synagogues around the world, including European buildings destroyed during the Holocaust. Synagogue360 — This site offers 360 degree tours of synagogues throughout Europe. Search by country, name, or date of construction. Synagogues in Hungary in Budapest, A Hidden Treasure — Photos and videos of some of the many synagogues restored in Hungary after the Holocaust. The Use of Jewish History Survey Texts in Jewish Secondary Schools – Paper commissioned by the American Jewish Committee in 2009. 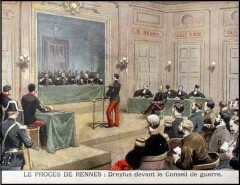 France and the Jews Prior to the Emancipation of 1791 – From an excellent website on the Dreyfus Affair, this offers a few pages on the status of Jews in France before, during and after Emancipation. Isaac Mayer Wise Digital Archive — Located at the Jacob Rader Marcus Center of the American Jewish Archives, this site offers many historical documents pertaining to the “father” of American Reform Judaism. Digital images include: personal papers; chapters of books by and about Wise; periodicals; images and more. Jewish Life Before the Holocaust – Centropa Films – See especially the films on “Jewish Soldiers in the Austro-Hungarian Army,” Austria, Germany, Czech Republic, and Hungary. Lorraine Beitler Collection of the Dreyfus Affair Documenting the History of the Dreyfus Affair and its Impact on the Art, Society and Politics of France and the Modern World — This exhibit at the University of Pennsylvania Library provides historical documents, lecture and scholar interviews and an overview and chronology of the Dreyfus affair. Modern France (Women of) – Article by Paula Hyman in Jewish Women: A Comprehensive Historical Encyclopedia. Napoleon and the Jews – Historical background and sources from presentation given at International Napoleonic Society conference, 1997. Felix Mendelssohn in Jews and the European Musical Tradition – Excellent discussion of Moses Mendelssohn’s grandson Felix, the famous composer, and other notable Jewish composers and musicians who struggled with Judaism and acceptance in 19th and early 20th c. Europe. Mendelssohn and the Legacy of the Enlightenment – Archived symposium at the Center for Jewish History, co-sponsored by the Leo Baeck Institute and NYU’s Skirball Department of Hebrew and Judaic Studies. Moses Mendelssohn in Chapters on Jewish Literature – The complete book by Israel Abrahams is online, concluding with this chapter on Mendelssohn. Mendelssohn’s Letter to Lavatar – The text of Mendelssohn’s reply to Swiss cleric Johann Caspar Lavatar on why Mendelssohn would not convert to Christianity. 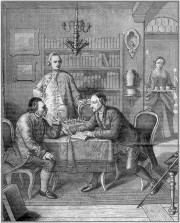 Mendelssohn through Art – Painting by Moritz Daniel Oppenheim displays Mendelssohn, Lavatar and Lessing; click on the painting to see analysis of the painting and the historical context. Beyond the Pale: The History of the Jews in Russia – Jewish history in the Russian Empire from the Middle Ages through modern times. Includes images and maps. Catherine the 2 and the Jews – Video lecture by Prof. Richard Pipes, Professor Emeritus of History at Harvard University. Hasidic Stories – Website maintained by Doug Lipman, with stories, articles and links. Jewish Short Stories from Eastern Europe and Beyond – Audio archive of stories read by notables such as Leonard Nimoy, Elliot Gould, William Shatner, etc. Museum of Family History – This virtual museum offers a online exhibitions of Eastern European immigration to America, life in America, and Yiddish language and theater. See the story of Maurice Schwartz, the great Yiddish actor, as told by his daughter, Risa Schwartz Whiting. 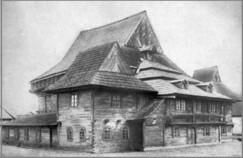 Museum of the Yiddish Theater – Connected to the Museum of Family History, this virtual museum contains more than 20 summaries and excerpts of Yiddish plays performed in Europe and America, links to Yiddish radio programs, interviews with Yiddish actors, and more. The Pale of Jewish Settlement – Detailed timeline, map and text covering the history of Czarist policy toward the Jews from the Partition of Poland to 1917. People of A Thousand Towns: Online Photographic Catalog — This project of the YIVO Institute for Jewish Research offers online photo albums on topics including: Departure; Yiddish and and Hebrew Literature; Women in Communal Life; Photography Studios and Jewish holidays. Sholem Aleichem and the Challenges of Modernity — A new educators’ module at Facing History and Ourselves, the three lessons use excerpts from the film “Sholem Aleichem: Laughing in the Darkness” to explore his life, his stories, and the culture of the shtetl. Tradition and Its Discontents: Jewish History and Culture in Eastern Europe – Online exhibition from the University of Pennsylvania, includes images such as: a passport allowing a Jew to travel from the Pale of Settlement to other parts of Russia; and, Yiddish book covers. Virtual Shtetl – see photos of shtetlach and the life that was by going to the Map menu and clicking on Photos. When these Streets Heard Yiddish – Interactive website on Polish Jewish. Companion site to YIVO curriculum created for Jewish day and complimentary schools (downloadable from the website). YIVO Digital Archive on Jewish Life in Poland provides links to a photo, video, and audio collection on what was once one of the largest Jewish communities in the world. The YIVO Encyclopedia of Jews in Eastern Europe – This massive website contains thousands of articles, images, maps and videos on the history of Jews in Poland, Russia and other the countries of E. Europe. YIVO Online Resources — View other digital exhibitions offered by YIVO including: pre-1930s home movies and sound recordings; Yiddish plays; and, children’s books in Yiddish. Yiddish Dictionary Online — Put an English word in the search box and see the equivalent Yiddish word in transliteration as well as in Yiddish. Conservative Judaism: Covenant and Commitment – Statement by Rabbi Bradley Shavit Artson, Dean of the Ziegler School of Rabbinic Studies. History of Reform Judaism and a Look Ahead – A brief history from the movement’s origins in Germany to modern times, from Reform Judaism.org. 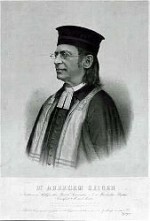 Abraham Geiger, leader of the movement to Reform Judaism in Germany, 19th c.
The Ideology of Modern Orthodoxy – In Sh’ma: A Journal of Jewish Ideas, February 2001 issue devoted to Modern Orthodoxy. Judaism in the Modern Age – Eleazar Segal’s course outline with hyperlinks. A bit outdated, but still useful. Particularly strong on Orthodoxy. Reader’s Guide: Conservative Judaism – From the Berman Jewish Policy Archive, pdf of articles covering Beliefs and Ideology, the Rabbinate, Institutions, Halakhah and Observance and Demographics. Reader’s Guide: Orthodox Judaism – From the Berman Jewish Policy Archive, pdf of articles covering Beliefs and Ideology, Halakhah, Gender, Sexuality, the Rabbinate, Israel, Institutions, Denominational Relations, and other topics. Reader’s Guide: Reconstructionism, Renewal, & Other Religious Identities – From the Berman Jewish Policy Archive, pdf of articles covering Reconstructionism, Trans/Post/Non-Denominations, Havurot, and Humanistic Judaism. Reader’s Guide: Reform Judaism – From the Berman Jewish Policy Archive, pdf of articles covering Values and Beliefs, Institutions, Demographics and Intermarriage, Israel, Gender, and other areas. Reconstructionist Judaism, Past, Present and Future: A Symposium – Several writers explore the movement on the occasion of the 70th anniversary of the magazine The Reconstructionist. Der Yidisher Gramafon: Discography of Early European Recordings of Jewish Music – Private site that documents commercial recordings of Jewish music made in Europe. Jewish Music WebCenter — Comprehensive site featuring research and articles on the history of Jewish music. 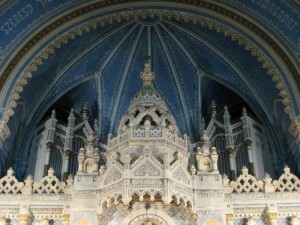 Also provides links to sites for Jewish music. Judaica Sound Archives (Florida Atlantic University) – Involved in the collection, preservation and education of Jewish music. The site contains Jewish music of many genres including: cantorial; Hasidic; Israeli; and Sephardic. The Milken Archive of Jewish Music: the American Experience – Claims to contain the largest collection of American Jewish music, in addition to oral histories, photos, historical documents and videos of interviews and live performances. The Stonehill Yiddish Song Collection — is part of the Center for Traditional Music and Dance. 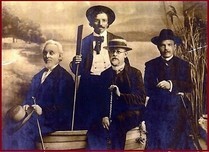 The page provides background on the work of Ben Stonehill to rescue Yiddish songs from E. Europe. It also provides links to songs organized by topic.